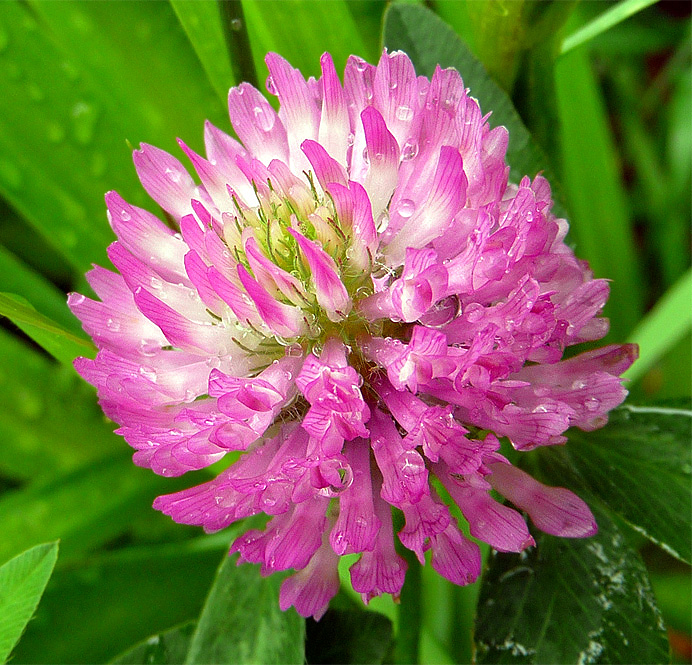 Red clover has burst into bloom in recent days. I found this blossom, wet from a morning thunderstorm, near the church on South King Street this afternoon. .
Monday, June 8: Two Bees, or Not Two Bees?